Today I want to share with you this oh so yummy Cornbread Taco Pie. All the yummy taco ingredients on the bottom baked with cornbread on top! It’s no secret I’m a taco lover! Aren’t we all! 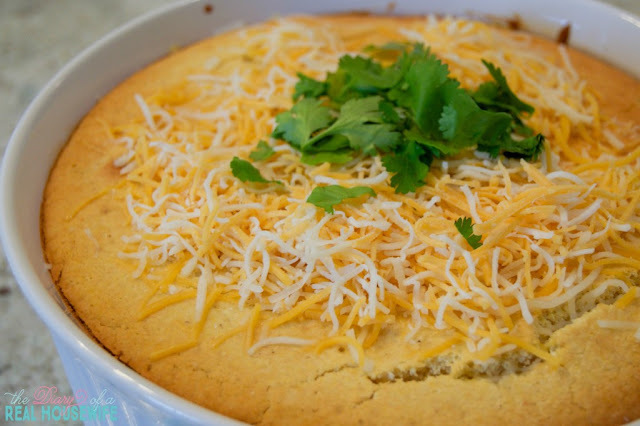 This cornbread taco pie is going to be a must try. Creamy, cheesy, taco filling topped with cornbread. Simple to make and something that your family is going to love. You may be surprised at how simple this is to put together! This simple recipe is going to be something you LOVE! Bake your cornbread dough right on top and enjoy! Start by cooking your ground beef in a large skillet. Add diced peppers and onions and allow to cook until beef is cooked and vegetables are tender. Season with taco seasoning. While your beef cooks place corn in a pot with water and allow to cook for 3-4 minutes. Add salsa and whipped cream cheese to your ground beef and allow to cook on low. Mixing while it cooks until your cream cheese has melted and is well combined. Place beef in a casserole dish. Drain corn and place corn on top of the ground beef. Pour corn bread mix in casserole dish over corn. Bake for 25-30 minutes or until corn bread is fully cooked and you can poke it with a fork that comes out clean. Optional: Top with shredded cheese and cilantro. 0 Response to "Cornbread Taco Pie"